Twitter’s been abuzz with news of Window’s 10 new features following Wednesday’s Build Conference. This is the first time I’ve noticed so much excitement and now the big question seems to be…when will 10 be officially released? Well, it seems since Microsoft is taking an entirely new approach to releasing Windows the time, that’s not really the relevant question to ask. That’s because Windows 10 will be free to all current users and it’s already available as a Technical Preview, which is really just to say that it’s out in beta…and has been out in beta for quite some time now. Microsoft’s new approach will be to continue releasing enhancements and improvements to the beta community forever…and at some point, when the feature is considered ‘complete’ it will be pushed out as an update to the general user community. So, probably the better question to ask is…when will new computers appear on the market bundled with Windows 10? And that question has still not been answered completely. Officially ‘this summer’ is the word…but unofficially, I suspect fall will be more likely. But that’s really a moot point too because Microsoft wisely chose to not cannibalize their Surface market by making Windows 10 free to all users. So sales shouldn’t stop while customers wait for the ‘next big thing!’ Also, given the innovativeness surrounding Window’s 10, and the ground breaking functionality Microsoft is aiming for, that isn’t surprising or even concerning to most people, it appears. If you’ve not spent anytime learning about Window’s 10 yet, see for yourself with some of the links below just how amazing the new OS will really be! Microsoft Will Continue Windows 10 Previews – PC World writes that Windows 10 previews will continue beyond 10’s release date. Microsoft is morphing towards a more ‘Chrome-like‘ manner of OS releases, meaning future builds will continue to be released to the public for testing and input forever. A Great Overview of Windows 10 Most Innovative Features – PC World’s slideshow of where some of the coolest new features stand as of right now with Build 10074. PC World’s Brief Highlight Video – Many feel the 3 biggest announcements of April 29th were Microsoft Edge, the new browser, MS’s promise to make Window’s 10 a ‘universal’ app that will be the same across all platforms and HoloLens, MS’s augmented reality technology, which goes far beyond the current (and pretty amazing standard) set by Occulus Rift. This short video explains why. Window’s 10 Continuum Video – Trusted Review’s article and video shows more about the ground breaking universal app concept and Continuum which will allow a Window’s Phone to connect to a PC and run everything from the phone using the PC’s bigger size and attached accessories. It’s pretty amazing stuff! A Way For Beta Testers to Enable the AERO Feature – Beta testers for Windows 10 are being sampled for their use of the AERO blur feature it seems…for the 50% that don’t have that feature enabled WinBeta a longstanding Windows Beta community not affiliated with Microsoft, provides this link telling you how to enable it. 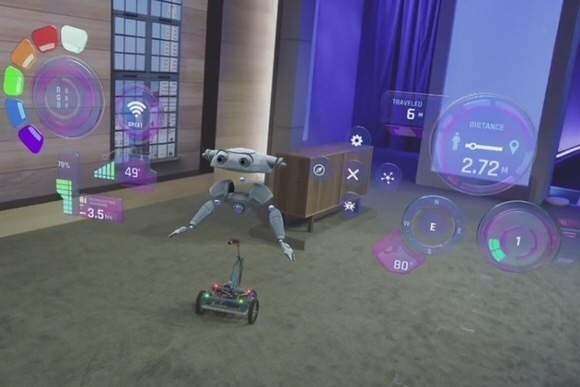 WinBeta’s Quick Up-Close & Personal Look at HoloLens – HoloLens is MS’s augmented reality headset…which doesn’t sound very exciting, but believe me…it is! The Occulus Rift virtual reality headset is shocking in how real the ‘reality’ seems. I’m not a gamer, but testing one out opened my eyes to how far-reaching this technology will go beyond gaming. Augmented reality is a big step up from even that…so, while its hard to imagine uses for yet, I suspect that in a year’s time we’ll be seeing the first brilliant new ways this technology can better our world. Sort of like how creating artificial limbs easily for people with small home 3D printers is already happening! Window’s 10 Version for Raspberry Pi – Trusted Reviews explains a little about a new version of Window’s 10 beta just released for the Maker community and Raspberry Pi. 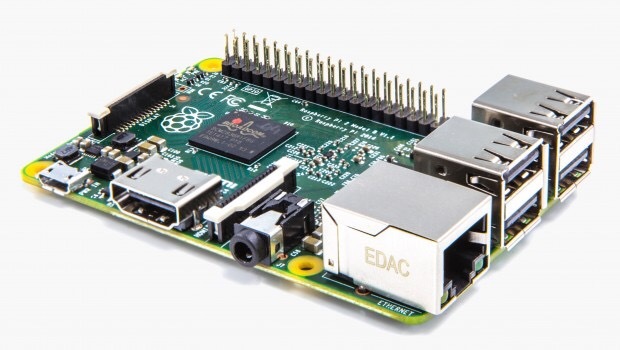 Technical Details for Getting Window’s 10 Working on Raspberry Pi 2 – What makes the Raspberry Pi release so exciting is that many in the tech community are using Raspberry Pi for some of the most cutting edge innovations for IoT aka The Internet of Things! This Makezine article includes a great illustrated guide to getting Window’s 10 IoT Core installed on it. Microsoft Acquires Surface 3 Pen Tech From N-trig – This TechCrunch article gives a great overview of a stylus type pen that works with Window’s Surface tablets. Those using Surface already know how advanced Window’s pen technology is from the capacitative type styluses used with most tablets. With MS’s acquisition of the technology it looks very possible that even greater integration will happen and pen technology will benefit too. It’s easy to see how realistic Microsoft’s goal, which aims to reach the 1 billion user mark with Window’s 10, is almost a forgone conclusion. After a few questionable years, Window’s users everywhere can finally breath a huge collective sigh of relief! This entry was posted in Computers, Tech News, Websites, Websites I Love, Windows 10, Windows Metro and tagged Miocrosoft Build Conference, Window's 10 News, Windows 10. Bookmark the permalink.